Melody Turnquist-Steed is an Associate Professor of Music at Bethany College, where she teaches organ and music theory, as well as serving as the chapel organist and coordinator of sacred music. 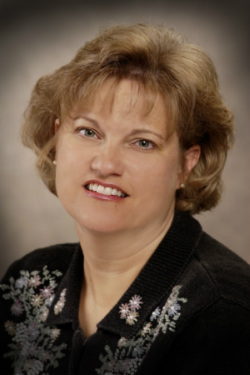 A native Iowan, Dr. Steed received degrees in Organ Performance from the University of Northern Iowa, University of Cincinnati, and the University of Southern California. She has studied organ with Marilou Kratzenstein, Jesse Eschbach., Roberta Gary, and Cherry Rhodes. Prior to her appointment at Bethany College, Dr. Steed served as the organist at the prestigious Westwood United Methodist Church where she presided at the Shaffer Memorial Organ. An active recitalist, she has performed at regional and national conventions of the American Guild of Organists and the International Trumpet Guild. Along with trumpeter, Keith Benjamin, she performs as the trumpet/organ duo, Clarion. The duo has recorded two compact discs Clarion, New Music for Trumpet and Organ (1994), and New Vintage (2001) and been featured on the National Public Radio program, Pipe Dreams!.. Dr. Steed has most recently been honored for her service to Bethany College as a 2013 recipient of the Mortvedt Award for Teaching Excellence and Campus Leadership.